As spring fever takes its hold, dreams of sandy beaches, sunny skies, and sweet umbrella drinks are now fueling my favorite procrastination activity: Spring Break planning! But money’s tight this year, so here are the five apps I’m taking on my trip to have a blast and still save a ton of cash. 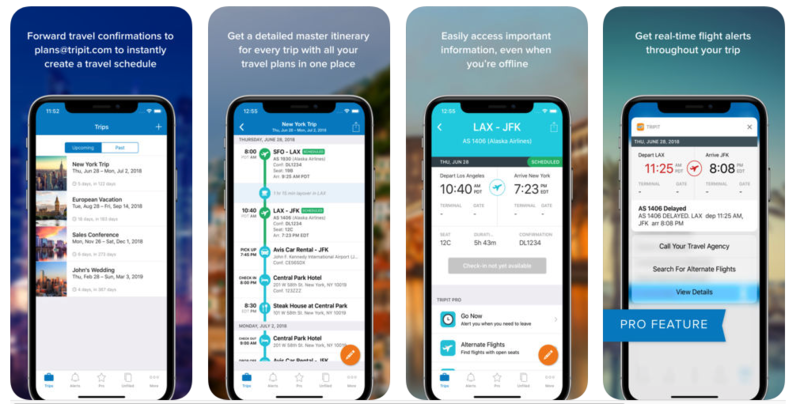 Hopper’s an airfare forecasting app that predicts when to book your flight for the best available price. 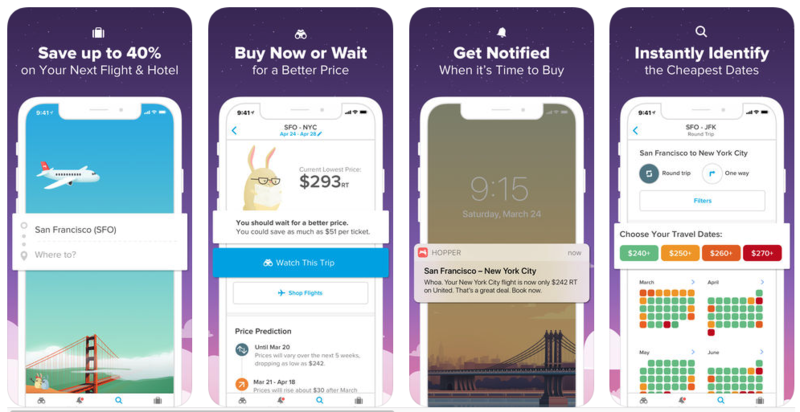 After you select your dates and destination, Hopper’s algorithm will either recommend buying your ticket immediately (which you can do through the app), or waiting for the prices to drop. If it suggests waiting, you can then set up a price alert and get notifications when there is a drop or increase in price. Hopper will also suggest the cheapest days to fly if your travel dates are more flexible. Hopper is available for Android and iPhone. Send your flight, hotel, restaurant, and car rental confirmation e-mails to the team at Tripit, and they will create a master itinerary for you. Enter the cost of each booking into the Trip Cost feature, and Tripit will add up the total so you can create a budget and start saving money ahead of your trip. Tripit is available for Android and iPhone. No matter where you’re headed for vacation, there’s people who live there, and they know a whole lot more about the local attractions than you do! 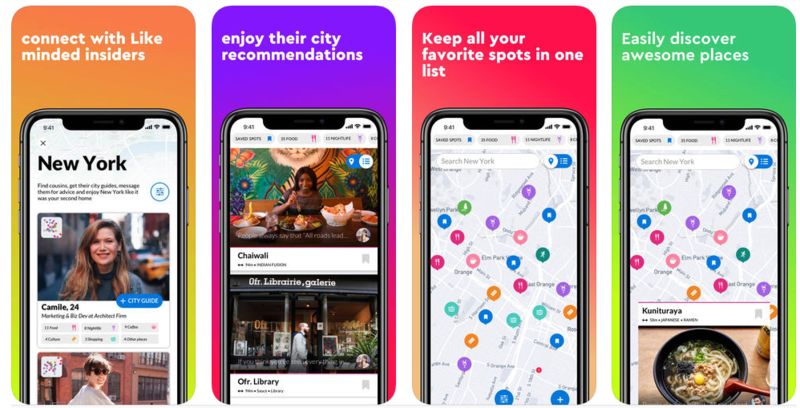 Spotted By Locals is a super slick little app that guides you to new discoveries based on recommendations from people who actually live there. It’ll keep you from getting sucked into way-too-expensive tourist traps and send you to all the coolest local spots. It works in nearly 70 cities already, and more are being added all the time. Spotted By Locals is available for Android and iPhone. Get a personal tour guide from a local without having to pay for one. From New York City and Miami to Mexico City, Barcelona, and Rio De Janeiro, Cool Cousin connects you to locals from dozens of cities around the world. Not only do you have access to each Cousin’s curated guide to their favorite spots and things to do in the city, you can also message them for advice on the best way to spend your money during your stay. Cool Cousin is available for iPhone, and will soon be available for Android. Splitting the bills with your friends is now more convenient and fair than ever. 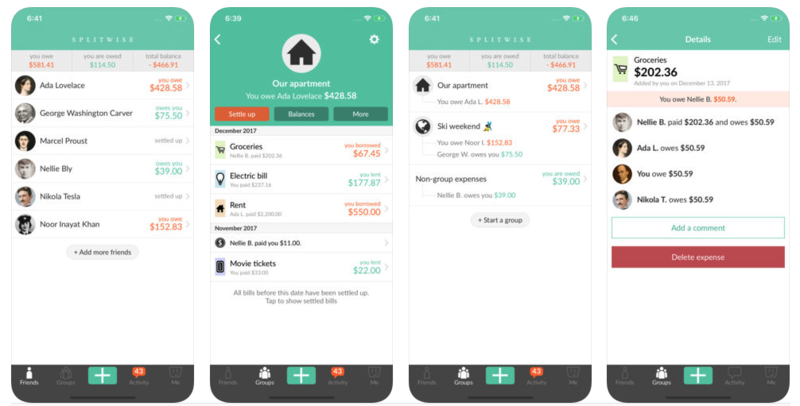 Add your restaurant and hotel bills, as well as other travel costs, into the app, and Splitwise will begin a running total of the amount you owe and are owed. That way, you can pay your share for dinner right away, or you can wait until the end of the trip to “settle up” with everyone – whatever you decide. You can also send your friends IOUs, or ping them reminders if they’ve forgotten to pay you back. Splitwise is available for Android and iPhone.